You’ve just arrived in Germany? Welcome to the country! If you have any questions or problems, you’re not alone at your university. We show you who is on hand to offer your guidance and help. Every university in Germany has an „Akademisches Auslandsdienst“ (AAA), or International Office. This service is responsible for coordinating all international affairs at universities and is the first port of call for international students. As soon as you start planning your stay in Germany, you should get in touch with the International Office at the university of your choice – by e-mail or phone. You can inquire here about the application procedure and admission requirements before your course begins. Completely new to Germany ? The staff at the International Office will answer any questions you may have after you arrive in Germany. They will provide you with all the information you need in the first few days and help you plan your stay here. They can advise you on bureaucratic procedures, help you fill in forms or enrol. And they can also offer you advice about finding accommodation and coping with everyday problems. International Office staff will also advise you who to contact for if you have specific problems. The International Office is therefore the place to go if you have organisational questions. If you have queries about your particular subject, however, contact the department in which you are studying. Tip: The International Office is always especially busy at the beginning of the semester. It may take a while for your inquiry to be processed, particularly if you are enrolled at a big university. You can save a lot of time if you clarify certain issues in writing or by phone before you arrive in Germany. It’s a good idea to find out about your university’s services by consulting the website before your arrival. The more specific your question, the easier it is to answer. And the faster you receive a response! One to three weeks before the start of the semester, many International Offices invite students from abroad to attend special orientation events. You shouldn’t miss these because this is where you receive important information about your studies. It’s also an excellent way to get to know other students. To help you settle into your new home, the International Offices also organise welcome parties, city tours or mentor or tutoring programmes. Mentors or tutors are experienced students who help new students deal with authorities (registration authorities/foreigners‘ authorities), find accommodation or open a bank account. So you’ve survived the initial phase? Congratulations, you’ve already come a long way! Nevertheless, you may still encounter problems in the course of your studies. Perhaps you have a problem with the foreigners‘ authorities, for example, the examination office or with an internship you are required to complete as part of your course. Whatever you need help with, just ask at your International Office. And don’t wait too long! The sooner you seek help, the quicker we can be of assistance to you. Now you know your first contact address. We have compiled further details under „Help for students“ so that you know who to approach for advice and support with other issues. After your arrival in Germany, you will have to register your new place of residence, take out health insurance and enrol at university. Quite a lot to be getting started with! It’s useful to contact as soon as possible institutions that can actively help you with your studies and everyday life. And not just during the first few days of your stay. We introduce you to a number of services that are offered at almost all university towns. Many of these are free of charge. There may be additional facilities available at your university so take the time to ask! The price of the service package depends on the benefits it contains. It can cost between 158 and 358 euro a month and is issued for a maximum of two semesters. The number of packages is limited. So inquire at your university’s Studentenwerk in good time! The Studentenwerk also helps handicapped students. Student committees are bodies that represent the interests of students at universities and are elected by students. These committees are known as AStA (General Students‘ Committee), UStA (Independent Student Committee) and StuRa (Student Council). The members of student committees advise other students. For example, they offer tips about finding accommodation and jobs. Some student committees organise German courses for international students, car-share opportunities for students travelling to other cities, or they help find language partnerships. The faculties also offer a Students Advising Students Service („studentische Studienberatung“), usually organised by faculty representatives. This group of students, who are elected by students, represent the interests of students in a particular faculty. This is where you can get advice about your faculty, if you have problems with lecturers, don’t understand the study regulations or need help with examinations. Many universities also have International University Groups which specifically represent the interests of international students. They organise welcome parties, excursions and regular get-togethers where you soon get to know other students. More general questions relating to studies are answered by the Central Student Advice Service. There, you can find out all about admission procedures, study requirements and course content. If you have questions about your subject, proof of credits (grades, certificates of participation and ECTS points) or about examination regulations, contact the Student Advice Service in your faculty. This is usually offered by research assistants and university teachers. Many Studentenwerk organisations offer childcare facilities. If you have questions about insurance, contact your Studentenwerk’s Social Counselling Offices. There, you can find out whether you are sufficiently insured for a part-time job or placement. You can also get advice and assistance from the Social and Legal Advice Department. If you run into financial difficulty, you should first contact the Studentenwerk’s Social Counselling Office or the International Office. Bridging loans are offered by student committees. Help may also be provided by the Protestant Student Communities or Catholic Student Communities. If you suffer from an emotional crisis or are unable to work, consult the Psychological Counselling Service. 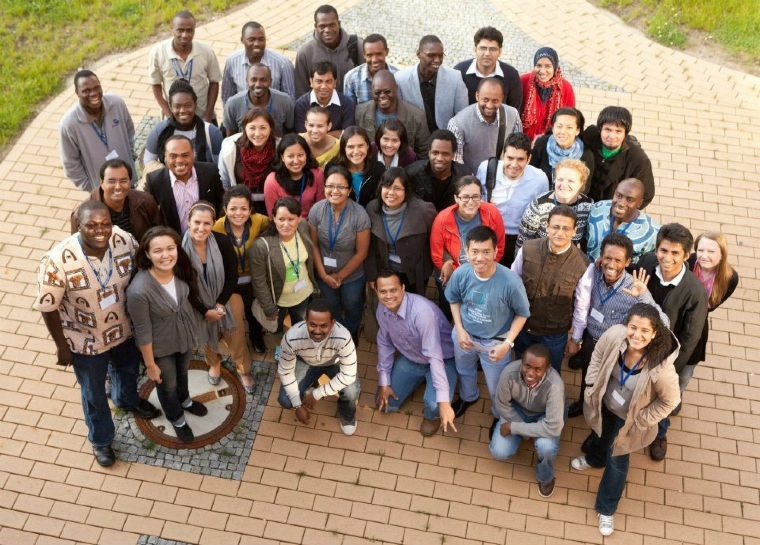 42 Studentenwerk organisations in Germany offer this service, usually free of charge. Find out if your university is one of these on Deutsche Studentenwerk website. Writer’s block? No need to despair. Many universities offer courses and workshops that teach you the techniques of creative writing and offer tips on preparing coursework and writing theses. So you are never alone if you have questions about everyday life or studying in Germany. Even when you’re planning your course in detail, there’s help at hand. You can find out how to put together your timetable and what kind of classes and tests are available under „Studium organisieren“.